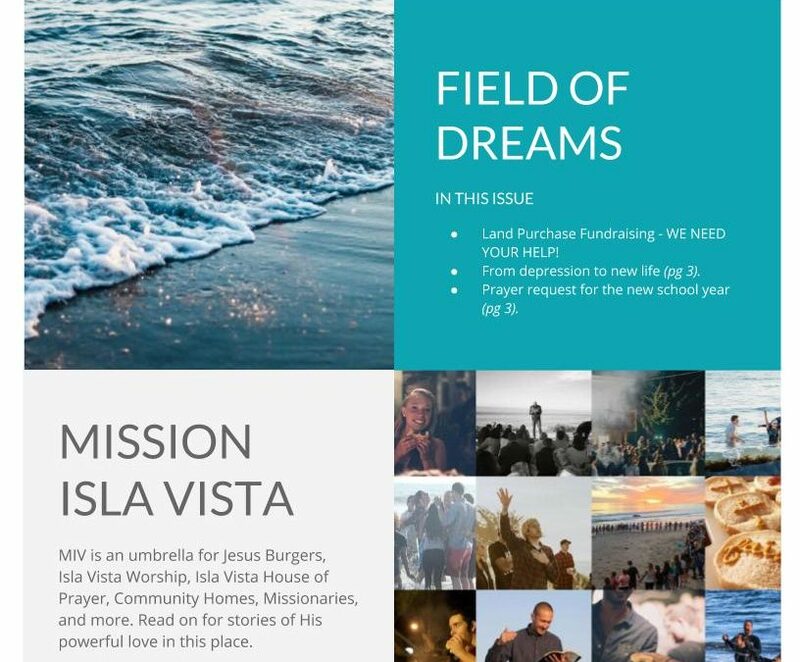 One of the major dreams God has put in front of us for Isla Vista is unfolding before our eyes. 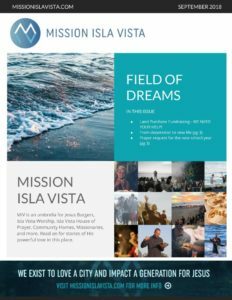 Please read on to see the amazing opportunity in the works right now, and how you can be a part of bringing it to fruition! Land Purchase Fundraising – WE NEED YOUR HELP! From depression to new life (pg 3). Prayer request for the new school year (pg 3).